One of the most brilliant backpacker destinations, Indonesia is a HUGE country and offers more sights, sounds, smells and tastes than you could ever possibly hope to explore, even with a lifetime to see it. As such, deciding what to see in just 2 weeks here can be tough. I think the key is not to do too much – instead select a few islands and explore a couple of destinations on each. This will give you the ability to sample some of the great diversity Indonesia has to offer without overstretching yourself and spending a lot of time getting between locations. This 2 week Indonesia itinerary covers 3 of the country’s main islands and 6 locations within them. Bringing in a mix of cultural, natural, outdoor and culinary attractions, it will give you a great taste for this amazing south east Asian nation, no doubt leaving you only keen to come back and see more! 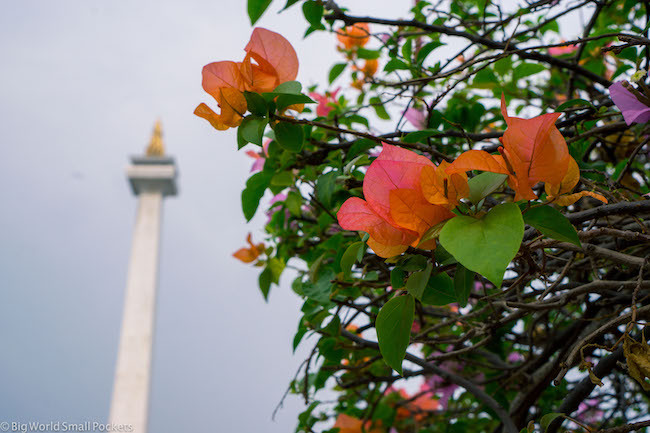 Start your Indonesia itinerary in the capital – Jakarta. 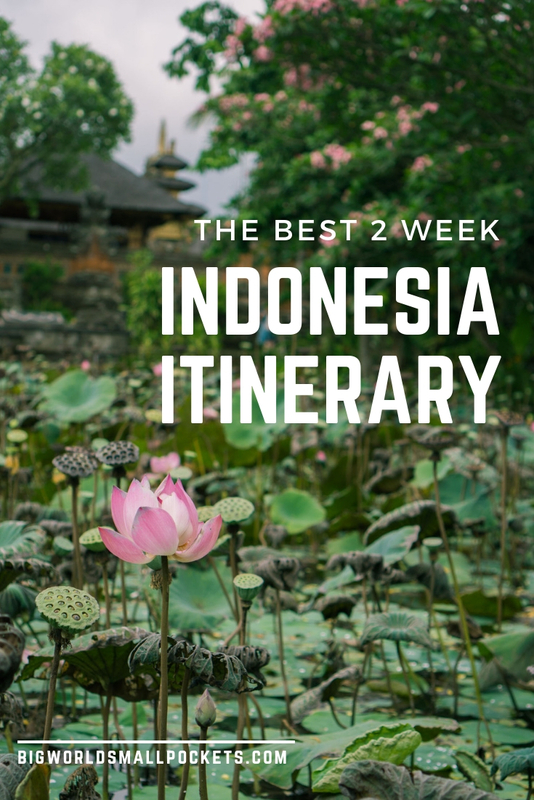 This buzzing, bustling city can be a crazy introduction, but it’s where many people fly into and makes a good base to adjust to the time zone and the delicious Indonesia food! Loads of people bag out Jakarta, but actually, there’s a lot to do here and plenty to amuse yourself for a couple of days. Don’t miss the National Museum – known as the elephant building due to the massive statue outside – and its highlight, the treasure room on level 4. Other Jakarta must sees include the National Monument and the old historic centre of Kota Tua with its iconic square and the flagship Café Batavia. The Istiqlal Mosque and Jakarta Cathedral which sat next to each other in the captial are also worth a visit. After Jakarta, hop on a short domestic flight to the north of Indonesia’s other main island – Sumatra. Right in the north of this island is the amazing Lake Toba, the largest volcanic lake in the world. 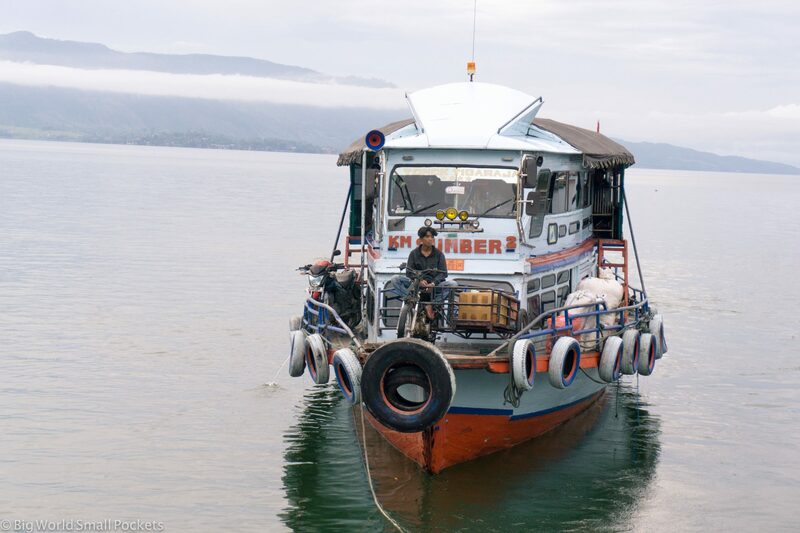 Enjoying a cruise on the lake, visiting a local village, learning traditional weaving methods, exploring waterfalls and staying on the island lake of Samosir are also must-do activities while you’re here. 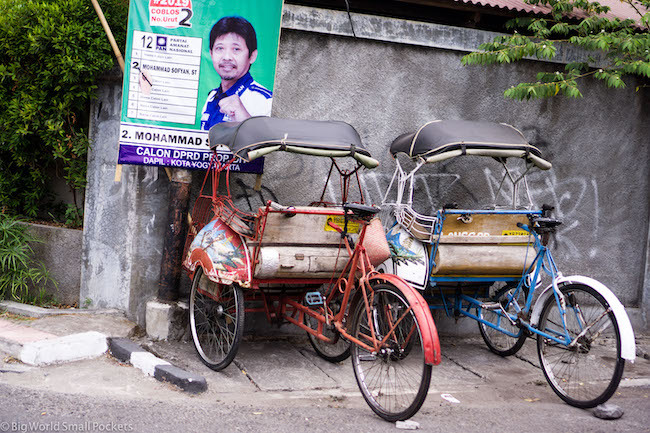 #1 Good Camera – You will be pretty much snapping non-stop in Indonesia and will need a good camera to do this incredible country justice. I highly recommend the Sony A6000, which I use for all my travels and love, not least because it’s light, compact and robust! #2 Good Walking Shoes – There will be a fair amount of walking in Indonesia – from cites to villages, jungles to mountains – so make sure you have some appropriate footwear such as these New Balance Trailrunners. I love mine. #3 Good Guidebook – I’m still a massive fan of the Lonely Planet Guidebooks and do think their Indonesia edition is well put together and able to save you a lot of money if you want to learn about the history of this country, but not continually pay for a guide! #4 Good Backpack – And to carry your camera and guidebook, you’re going to need a decent backpack that will help you balance the weight as you sightsee across Indonesia. In my opinion you can’t go past the Bobby Anti Theft Backpack, which is also perfect for helping you avoid pickpockets too. #5 Travel Insurance – I wouldn’t go anywhere these days without decent coverage and always recommend travel insurance from World Nomads which I used throughout my time in Indonesia and beyond. My third recommended location on this Indonesia itinerary is also on the island of Sumatra, but situated in the west rather than the north. You can get a long bus ride down here, or hop on a short domestic flight from the Lake Toba area – just remember to factor this travel time into your itinerary. I loved Bukittinggi because it feels very off the beaten track and during my time there I encountered hardly any other international tourists. As such, this is a great destination for experiencing a very local way of life in Indonesia and for sampling some incredible food, which this part of the country is very famous for. 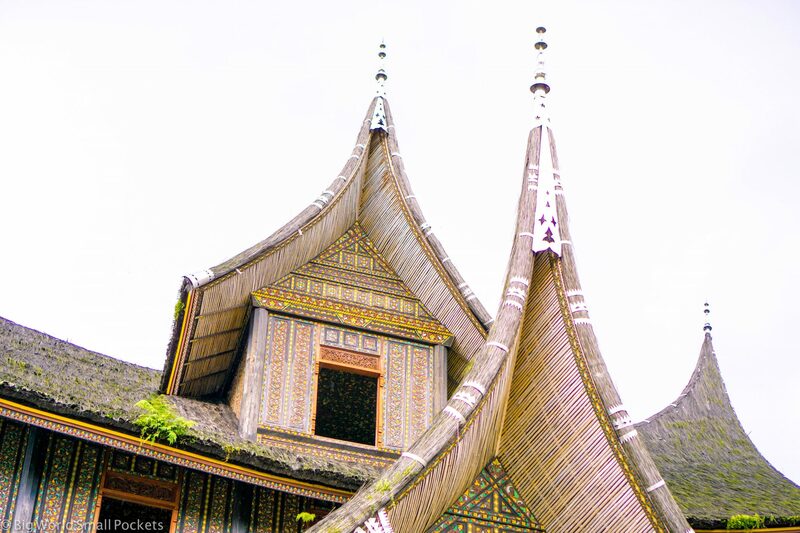 Bukittinggi also offers some great hiking opportunities in the surrounding area, some stunning views and some interesting historical sites, such as Japanese War Tunnels too. 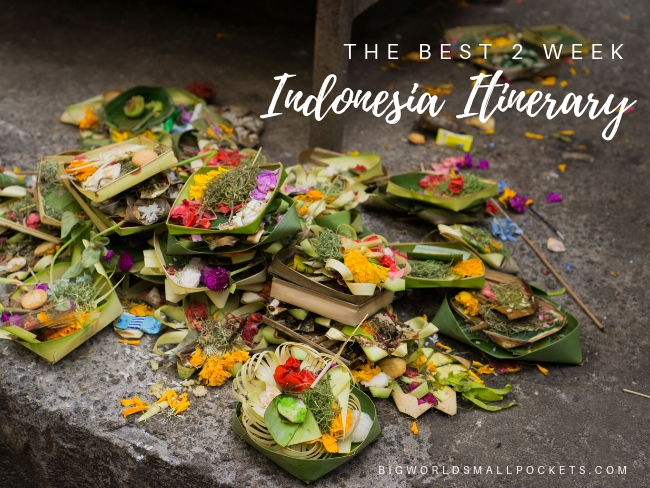 A great all round destination, if you’re looking to do something a little different for a few days on your Indonesia itinerary, this could be the answer. And now it’s time to hop back to the island of Jakarta and make a stop at one of the most popular travellers destinations here. Yogyakarta is great and you should allow at least 3 nights here in my opinion. From seeing sunrise over the nearby Borobudur Temple – which is the largest Buddhist Temple in the world – to exploring the Royal Palaces and great restaurants of this student-orientated city, Yogyakarta offers travellers a lot of fun as well as adventure. This city is also famous for its Batik making and traditional dance, so there’s plenty to do here if you’re looking for a cultural fix too. And last but not least, it’s the destination that almost everyone thinks of when they think of Indonesia! Yup, Bali is where many people’s Indonesia itinerary begins and ends, but while there is way more to see of this country, it is hard to resist finishing your time on this paradise island. 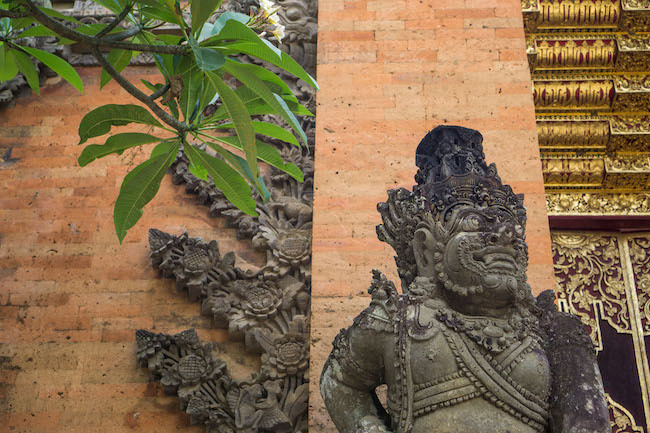 From the mountain village of Ubud, with its yoga retreats and jungle hideaways, through to the party beaches of Seminyak, there’s so much to do here that even 5 nights won’t have you enjoying even half of what is on offer. 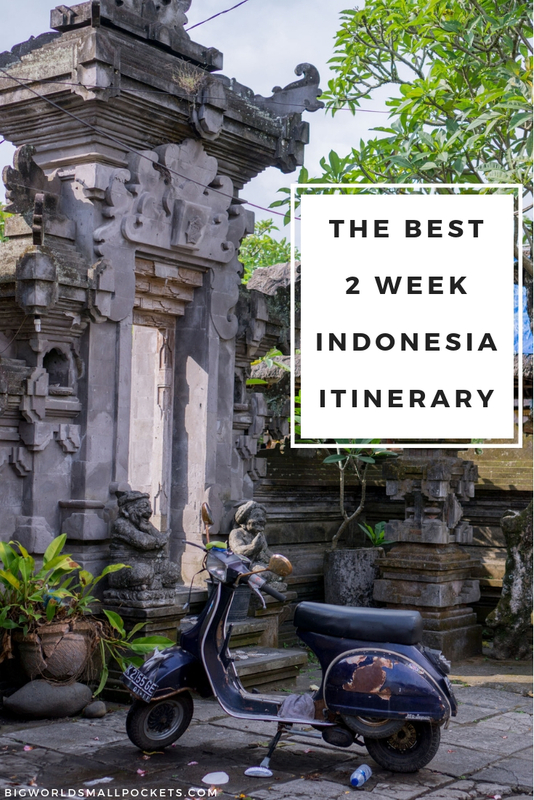 I’d recommend checking out 2 destinations during your 5 nights in Bali and as this will give you enough time to get a sense of the island’s diversity without rushing too much. Why not choose an inland location and balance that with a beachside spot to get the best of both worlds? Also worth noting is that the south of the island is most populated and touristy; it’s also nearer the airport in Denpasar, so it may be worth basing yourself this side of things if you’re short on time and want to keep journey lengths to a minimum. Or, if you do have longer to spend on the island, you could explore the more remote north or join the digital nomads in the new hotspot of Canggu! This where loads of working bloggers, students writing their theses or dissertations and online traders are heading to enjoy amazing weather, great internet connection, sensational food and cheap living. With the amount of services available online these days – from web development to graphic design, essay writing, proofreading and digital marketing – you don’t necessarily need to stay in your home country to work, study or earn money and Bali is becoming the new mecca for those who have realised this! So there you have it, my 2 week Indonesia itinerary. Perfect if this is your first visit to the country and you want to see a lot in a short amount of time, this plan will have you visiting 3 of the major islands and getting a broad insight into the different cultures and communities that make up this huge archipelago.